Sometimes we try to find a hotel that is not only as a place …. just for sleep. But, truly a unique place for vacation, even given its own memories. After a long search for a reference to a comfortable hotel to rest, and also has its own nuances and uniqueness, I finally got it! The place is located in Lembang, upland areas, Bandung most cool and comfortable place, for those of you who really want a place to rest, enjoy the cool atmosphere, ethnic ….. and also romantic. The place was named “Jadul Village : Villa & Spa“. Some of you are surely asking, “What does it mean: JADUL ?” Jadul, is the short (abbreviated) from: JAman DULu (means : earlier times). Because the concept of Jadul Village is, hometown feel of Sundanese / Javanese in antiquity. The Jadul Village Villa & Spa is a 4 star Resort situated in a tranquil location outside the city center and surrounded by lush tropical landscaping. Jadul Village Villa & Spa offers luxury accommodations for leisure travelers and couples looking for a truly memorable holiday in Indonesia. 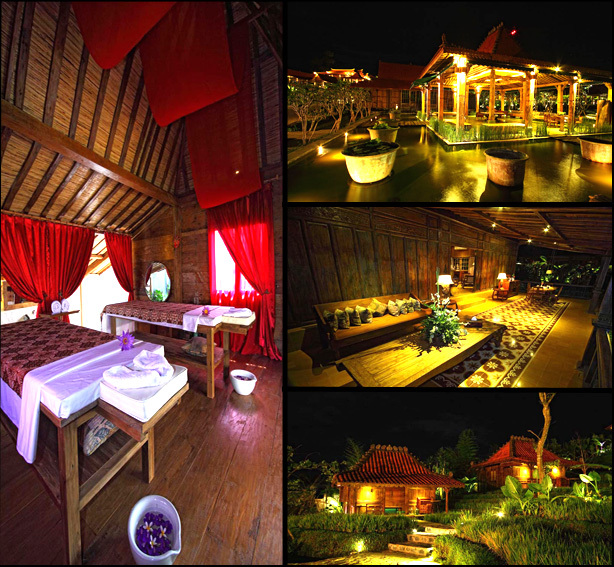 A hallmark of the Jadul Village Villa & Spa is its luxurious spa and wellness center where guests can truly unwind and indulge in one of the many massage, face, and body treatments for individuals or couples while surrounded by exotic aromas and lotus flowers. Guests at Jadul Village Villa & Spa are also welcome to enjoy the European, Asian, and Indonesian cuisine in the beautifully decorated, open-air restaurant. That combines striking decor and natural elements for a unique dining experience. The Jadul Village Villa & Spa is also an event venue with facilities and banqueting services for weddings, business functions, and private gathering. 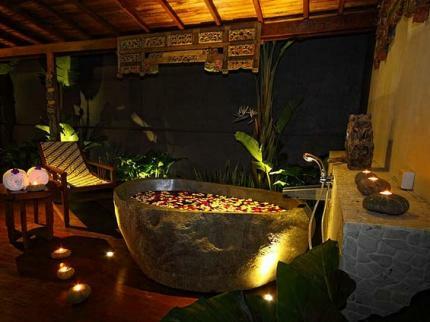 This entry was posted on Thursday, September 1st, 2011 at 10:30 pm	and tagged with hotel, jadul, Jadul Village Villa & Spa, Lembang, spa, Villa, village and posted in Hotels & Transportation, Places. You can follow any responses to this entry through the RSS 2.0 feed.